His Excellency Anote Tong is the former President of the Republic of Kiribati (2003 to 2016) and ad a world-renowned advocate for addressing climate change. Anote Tong was born in 1952 on Fanning Island (also known as Tabuaeran) in the Line Islands and was a member of the Kiribati House of Parliament from the constituency of Maiana Island in the central Kiribati group. Since the beginning of his presidency, President Anote Tong has built worldwide awareness of the potentially devastating impacts of climate change. He has stated on many occasions that Kiribati may cease to exist altogether and that its entire population may need to be resettled not as climate change refugees but as citizens who migrate on merit and with dignity. 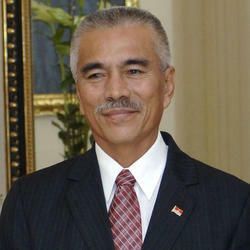 President Tong will discuss the dramatic impact of climate change on Kiribati, a “frontline country” with one of the lowest carbon-emission footprints in the world. As a measure to set an example for the rest of the world, President Tong created the Phoenix Islands Protected Area, one of the largest marine protected areas in the world with a size of 408,250 square kilometers which was inscribed as a United Nations World Heritage site in 2008. President Tong has won a number of awards and recognition that acknowledges his contribution and leadership on climate change and ocean conservation. He has been nominated for a Nobel Peace Prize for his work and advocacy. 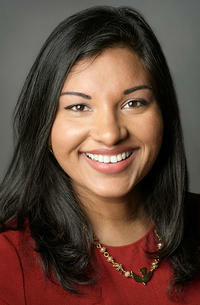 Mayesha Alam’s research interests intersect comparative politics, international relations and international law specifically related to the causes and consequences of armed conflict. Mayesha’s first book, Women and Transitional Justice: Progress and Persistent Challenges in Retributive and Restorative Processes, was published by Palgrave Macmillan in 2014 and she is co-editor of a forthcoming book on Women and Gender Perspectives in the Military to be published by Georgetown University Press. Prior to pursuing her doctoral studies in political science at Yale, Mayesha served as the deputy director of the Georgetown Institute for Women, Peace and Security in Washington, D.C. She has also worked on policy design, implementation, and evaluation with the United Nations, World Bank, and the Organization for Security and Cooperation in Europe. 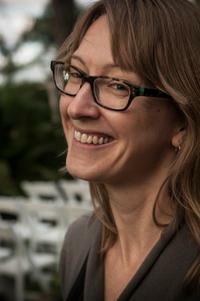 Erica Bower is a specialist on governance of climate change and human mobility, from rights based approaches. She is an Independent Consultant, currently working on gender dimensions of these themes for UN Women and the Sierra Club. She formerly worked to advance policy, legal and practical solutions for the disaster displaced as a thematic specialist at the UN Refugee Agency (UNHCR). She has previous experience as a researcher for Oxfam United Kingdom, the Mary Robinson Foundation for Climate Justice, the Internal Displacement Monitoring Centre and for the South Asia consultations of the Nansen Initiative. She holds a Masters Degree in Forced Migration Studies from Oxford University, and a Bachelors Degree in Sustainable Development and Human Rights from Columbia University. Dr. Brammer is the President and CEO of Brammer Technology, LLC, a consultancy focusing on advanced information technology, cybersecurity, and environment and climate. He has served on advisory boards and task forces for the Department of Defense, the National Research Council, the National Science Foundation, NASA, and the University Corporation for Atmospheric Research. He is currently a member of the Computer Science and Telecommunications Board of the National Research Council. He is also a member of the Intelligence Science and Technology Experts Group for the National Academy of Sciences and the Office of the Director of National Intelligence. Additionally, Dr. Brammer is Vice-Chair of the Cleantech and Climate Change Committee of the American Bar Association and a member of the Financial Weather and Climate Risk Management Committee of the American Meteorological Society. He received awards for work on the Apollo program and for principal investigator research on NASA and NOAA satellite remote-sensing programs. Dr. Brammer has a bachelor’s degree in mathematics from the University of Michigan, and master’s and doctoral degrees in mathematics from the University of Maryland. He is a member of Phi Beta Kappa and Phi Kappa Phi and is a Woodrow Wilson Fellow. He is a Fellow of both the Society of Photo-Optical Instrumentation Engineers and the American Meteorological Society. 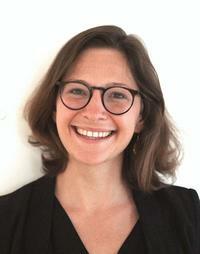 Miriam serves as Assistant Professor of Climate and Migration Law at Copenhagen University. Supported by a grant from the Independent Research Fund Denmark, Miriam currently researches legal responses to climate-induced migration with a particular focus on human rights and remote communities. Originally from New Zealand, Miriam represented the Australian Government on the Third Committee (Human Rights) of the UN General Assembly, and has held positions in the International Legal and International Security Divisions of the Australian Department of Foreign Affairs and Trade, and the Human Trafficking and Migrant Smuggling Section of the United Nations Office on Drugs and Crime. She has led a number of parliamentary inquiries in Australia; trained parliamentary secretariats from across the Pacific; and was a Visiting Professional in the Immediate Office of the Prosecutor at the International Criminal Court. Elizabeth Fussell is a demographer and sociologist who studies population change in New Orleans since Hurricane Katrina as well as environmental causes of migration throughout the United States. 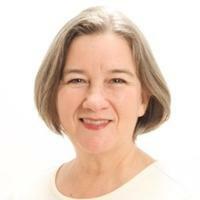 She is Associate Professor of Population Studies and Environment and Society (Research) at Brown University and Editor-in-Chief of Population and Environment. Fussell examines social, economic, and environmental drivers of migration, particularly in the case of New Orleans and Hurricane Katrina. She has also examined the arrival and reception of Latino immigrants in New Orleans after Hurricane Katrina and the experiences of low-income African American mothers affected by the disaster. Her research is funded by the National Institutes of Health, the US Department of Housing and Urban Development, and the Russell Sage Foundation, and has been published in leading journals in demography and sociology. Dr. Alexandra R. Harrington, J.D., LL.M., D.C.L. (McGill) is the 2018 - 2019 Fulbright Canada Research Chair in Global Governance, Lead Counsel for Peace, Justice & Governance, CISDL, and an adjunct professor at Albany Law School. 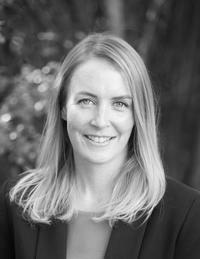 She has extensive experience in issues of sovereignty, international organizations, environmental law, and sustainable development law, and is the author of the recently published International Organizations and the Law (Routledge). Dr. Harrington has worked as a consultant to various international environmental organizations, including UN Environment, and routinely publishes on issues related to environment and governance. Christina Hioureas is Counsel at Foley Hoag LLP in the firm’s International Litigation & Arbitration practice and Chair of the United Nations practice group, a group that she co-founded. 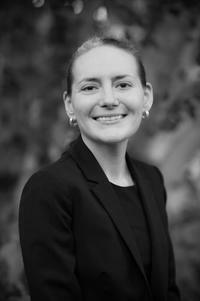 Based in New York, Christina represents States, State-owned and private entities, and individuals on international commercial and investments arbitration disputes and public international law matters. Hioureas also advises States on matters before the United Nations and its bodies. She serves as arbitrator in international commercial disputes. Hioureas’ practice includes: international investment treaty claims (ICSID, UNCITRAL); international commercial arbitration (ICC, ICDR/AAA, LCIA, Swiss Rules) and litigation; State-to-State disputes and advisory opinion proceedings before the International Court of Justice (ICJ); treaty drafting and interpretation; climate change and rising sea levels; international human rights claims; capacity building trainings for State Sovereigns; and energy law and pricing disputes. Her academic experience includes serving as an Adjunct Professor of Law at Fordham University School of Law and Graduate Student Instructor at the University of California, Berkeley - in the Peace & Conflict Studies Department. 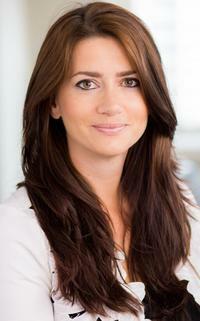 She is also on the Teaching Staff of the University of Piraeus in the Energy Strategy, Law & Economics Program. 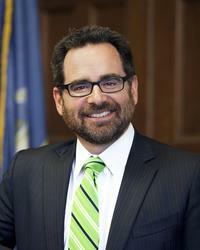 Rob Klee is the Commissioner of Connecticut’s Department of Energy and Environmental Protection (DEEP). Commissioner Klee was appointed by Governor Dannel P. Malloy in January 2014. 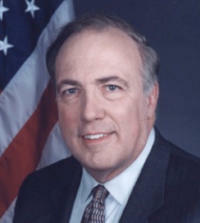 Commissioner Klee joined DEEP in April 2011 as Chief of Staff. In that role he oversaw the work of the agency, supported the efforts of the Commissioner, and advised the Commissioner and senior staff on a wide range of environmental and energy policy issues. Prior to joining state service, Commissioner Klee was an attorney with Wiggin and Dana LLP, in New Haven, where he specialized in appellate work and energy and environmental law. From 2004 to 2005 Commissioner Klee worked as a Law Clerk for the U.S. District Court in Connecticut and from 2005 to 2006 as a Law Clerk for the U.S. Second Circuit Court of Appeals. He served as a Research Affiliate in the Yale School of Forestry and Environmental Studies from 2006 to 2008. Commissioner Klee serves on the governing bodies of several organizations focused on critical environmental and energy issues. His involvement including the Governor’s Council on Climate Change, the Connecticut Institute for Resilience & Climate Adaptation (CIRCA), Connecticut Green Bank, Connecticut Blue Plan Advisory Committee, RecycleCT Foundation. Commissioner Klee holds a Ph.D. from Yale’s School of Forestry & Environmental Studies in industrial ecology, a law degree from Yale, and an undergraduate degree from Princeton in geology and environmental science. 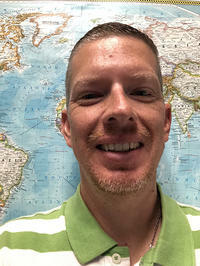 Michael Kruk is a Supervisory Climate Scientist with Earth Resources Technology Inc., at NOAA’s National Centers for Environmental Information in Asheville, NC. He leads an interdisciplinary science team in the development of climate and environmental derived products to address complex natural resource management issues. He also works in the area of coastal hazards in Hawaii and the U.S. Affiliated Pacific Islands and the impact of climate change on island shorelines, including effects from long-term sea-level rise, heavy precipitation events, saltwater inundation, and hurricanes. Michael received a commendation award from the National Aeronautics and Space Administration (NASA) for his work in addressing climate issues critical to Pacific Small Island Developing States – including preserving freshwater resources and minimizing the impacts of drought – by encouraging dialog and leading discussions with water resource managers and other decision-makers. Michael received a Master’s Degree in Atmospheric Sciences from the University of Illinois Urbana-Champaign. Benoit Mayer is an Assistant Professor at the Chinese University of Hong Kong. He wrote his PhD dissertation on the relation between climate change and international law. He is the author of The Concept of Climate Migration: Advocacy and its Prospects (Edward Elgar, 2016) and the joint editor, with François Crépeau, of the Research Handbook on Climate Change, Migration and the Law (Edward Elgar, 2017). He has also published a series of journal articles questioning the need for a recognition of climate migrants as a special category of concern (as opposed to a broader protection of all migrants). 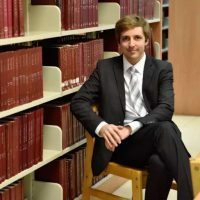 Benoit has also developed a broader expertise on climate law, in particular with the publication of The International Law on Climate Change (Cambridge University Press, 2018). Marjorie McGuirk is a professional meteorologist and a climate services specialist. Marjorie currently consults with CASE Consultants International, where she is Founder and President. As an Expert Consultant for the World Meteorological Organization’s Global Framework for Climate Services, her works underpins international technical collaboration in climate and health, disaster risk reduction, water resources, and agriculture and food security. She was key in developing the User Interface Platform and was on the writing team for the WMO report of the High-Level Taskforce for the GFCS, Climate Knowledge for Action: Empowering the Most Vulnerable. As a lead U.S. Government Reviewer for the Fifth Assessment Report by the Intergovernmental Panel on Climate Change, she concentrates particularly on Impacts, Adaptation & Vulnerability. Prior to retiring from federal service with NOAA’s National Climatic Data Center, Marjorie served as the Special Advisor to the Director, as Chief of Staff, and as National Partnership Liaison with Regional Climate Centers and the American Association of State Climatologists. Marjorie has published on climate change impacts on transportation infrastructure with the Transportation Research Board of the National Academies of Science, and on impacts of our changing climate on society. She received a B.S. in Atmospheric Science from Old Dominion University, Graduate Studies in Aerosol Science and Air Pollution at the University of Washington, and holds a MLA in Climate Change and Society from the University of North Carolina Asheville. 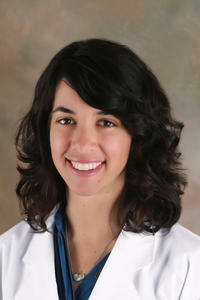 Dr. Meredith Niess is an internal medicine primary care physician at Fair Haven Community Health Care (FHCHC) and an Assistant Clinical Professor in the Yale School of Medicine Internal Medicine Department. She graduated medical and public health school from the University of North Carolina and did her residency training at the University of Colorado Internal Medicine Primary Care Residency Program where she also completed a primary care research fellowship. 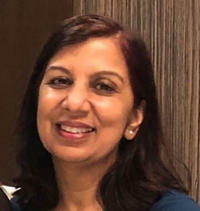 Her clinical interests include primary care for vulnerable populations, with specific work in primary care for individuals with severe mental illness. Along with a multidisciplinary team, she helped lead the FHCHC response to an influx of refugees from Hurricane Maria. Kanta Kumari Rigaud is a Lead Environmental Specialist, and Regional Climate Change Coordinator in the Africa Region of the World Bank Group. She works on climate policy, knowledge management, and development of tools and learning platforms to manage climate risks. She led a multidisciplinary team on the Bank’s pioneering flagship report on Groundswell - Preparing for Internal Climate Migration and on the Turn Down the Heat report series. She has worked with multiple client countries as the Bank’s Focal point for the Pilot Program for Climate Resilience working to mainstream climate resilience into core development planning and for transformation at scale. She has a doctorate from the University of East Anglia in the UK. She serves as co-chair of the Technical Working Group on Environmental Change and Migration in KNOMAD.